By order of national decree, Isagawa Shrine was established in 593 by Omiwa no Kimishiratsutsumi and is the oldest shrine in Nara City. The enshrined deity at Isagawa Shrine is Empress Himetataraisuzuhime no Mikoto, wife of Emperor Jinmu. 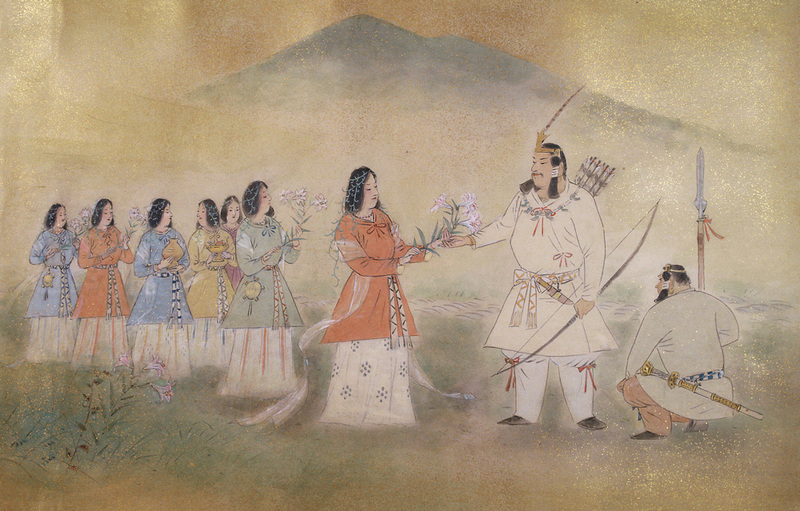 Known for her wisdom, the empress supported the emperor during his reign. Isagawa Shrine is one of the few shrines in Japan that has an empress as an enshrined deity. The shrine is famous for parents praying for their children’s well-being. 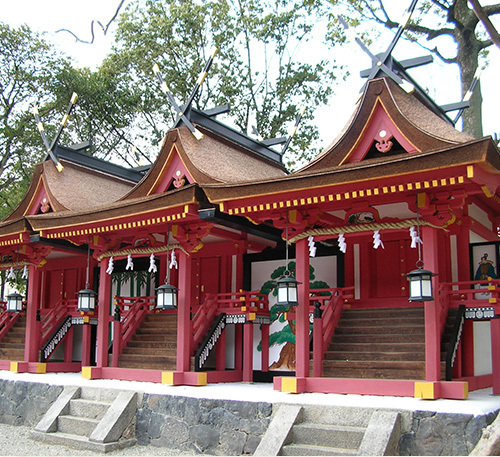 The three side-by-side buildings enshrine Empress Himetataraisuzuhime no Mikoto (center), her father, Sai no Okami (left), and her mother, Tamakushihime no Mikoto (right). This arrangement was chosen to symbolize parents’ instinctual protection of their children. Copyright (c) 2017 Isagawa Shrine All Rights Reserved.